Perhaps it is because I have an uncanny ability to see your blind spots in a matter of minutes — and know in a flash what you need — so your business smashes every goal, your big milestones feel truly champagne-worthy, and your life lines up with that rich picture of enjoyment that’s felt so elusive. After 30+ years of melding my expertise as Business Mentor with my skills as Mindset Psychotherapist (mix in cutting-edge research on brain science and stellar intuition), I have developed an approach that breaks through obstacles and creates new paths in very short periods of time. Coaches that aren’t licensed psychotherapists simply can’t offer the same level of insights, skills and tools that I bring you. It’s all about uncovering blind spots that are keeping you from your (very high) next level. And if you don’t think you have any, well — that’s a blind spot. A lot of entrepreneurs hear “mindset” and think, “Oh, I’ve got that already” — because they’re already phenomenal at what they do, aren’t afraid to take risks and have the guts to play big. Thing is, mindset is so much more than being motivated, taking risks, and having confidence. It’s about blowing out every obstacle that stands between you and your upward leaps in hard numbers (clients have gone from 6- to 7-figures and from 7 to 8+) and unmeasurable satisfaction and happiness. THEN: Jen, a health and wellness coach, had successfully scaled from 1:1 coaching to group programs. She was bringing in high 6-figures. It turned out she missed the deep impact of the one-on-one, and she was afraid she’d lost her passion for the business. She didn’t want to go backwards, though. The one-on-ones had left her feeling burned out. And they didn’t scale. NOW: The passion is back. Jen runs high-end, high-touch retreats in “bucket list” locations and high-ticket, year-long private packages in addition to her successful group programs. She’s traveling (another uncovered desire) and making a deep impact. And, all this brings in 7 figures, on the way to 8. THE ICING: Jen’s now in a fantastic relationship. She didn’t think that was part of her picture. Surprise! THEN: Julie, a financial advisor, had strong team members and brought in multiple 7 figures. She knew she had the potential to cross 8 figures and beyond. Julie realized she needed to step more fully into the CEO role, but her involvement in the day-to-day ate up her bandwidth. She was serving too many clients herself, afraid that if she didn’t, the quality she’s known for would suffer. NOW: Julie has scaled back her clients to only top-tier, and delegated others to a talented staff member. She finally had the time, energy and focus to fully step into the role of CEO. Julie expanded her programs to generate vastly more passive revenue and serve more clients. Julie’s business has crossed 8 figures and keeps climbing. ICING ON THE CAKE: Julie and her husband took their first vacation that was “just the two of them,” without interruption from her team and clients. She’s finally able to relax and enjoy her accomplishments, and her marriage is stronger than ever. Her husband even sent me a thank-you note! Wondering If I Have What It Takes To Help You Reach Your Next Level (and Beyond)? Giving back is of high value to me — especially making a difference in the lives of children, supporting the arts, empowering women, and caring for our veterans. I can’t get enough of: Planet Earth. There are oceans to dive, trails to hike, rocks to climb, different cultures to experience, and so many beautiful people to connect with. 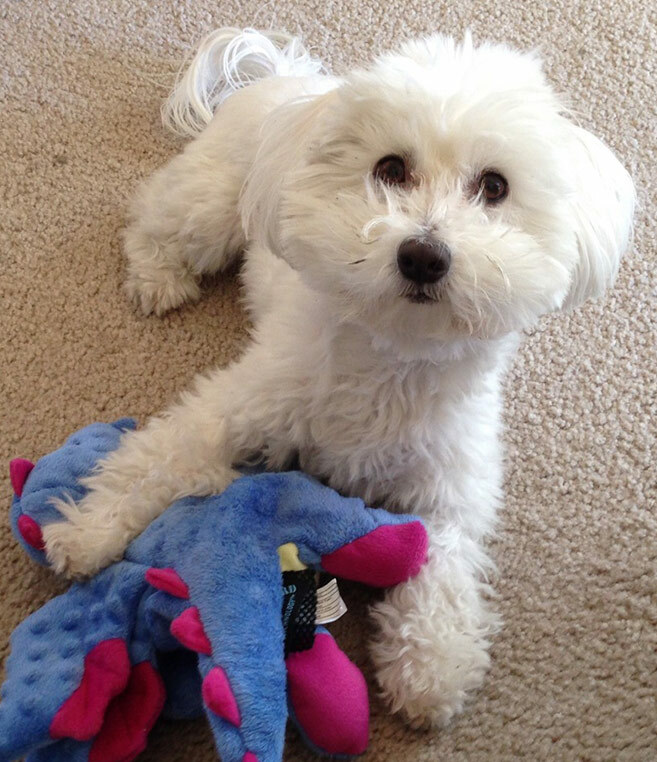 Also can’t get enough of my dog, a Coton De Tulear named Akiko. She’s a tiny 10 pounds, but hikes like a beast. And kills her stuffed animals (don’t be fooled by the photo). I’m an artist, painting and sculpting are my other passions. Through my battle with an illness, I became an expert on building a business that’s a Supernova without burning yourself out. Here’s The Place To Start. 8 FIGURE BUSINESS DOUBLED, AND MORE TIME FOR FAMILY! "I have an 8-figure business and I wasn't going to trust just anyone. But I was so impressed by a colleague’s results with Annette, I had to hire her. Since working with Annette I've DOUBLED my business -- all while creating more time for writing and speaking, and spending more time with family. Annette has shown me how to bring my message to an even greater audience, without sacrificing my personal life." WE JUST HIT 9 FIGURES! I TRUST ANNETTE COMPLETELY! “Annette 'works magic with my mind' and everything else becomes so much easier. With Annette's guidance I was able to scale my business to multiple 7 figures, actually have time for myself, and my husband. We had our first real vacation since our honeymoon and I was able to relax and really enjoy myself. My business ran smoothly while I was away and I can see the value of taking time to rejuvenate." REVENUE TRIPLED, MY WEEKENDS ARE FREE, NO MORE 12 HOUR DAYS! “When I met Annette my business was doing great, but I wasn’t. I was putting in so many late nights and weekends just trying to keep up. I wanted my business to grow, but I was tapped out. Annette helped my see what was in the way of reaching my next level (and I didn't even realize it!). Now, my weekends are free, no more 12 hour workdays, and I’m even taking time off for a vacation. And my revenue has tripled!" I'M AMAZED! I'M MAKING MULTIPLE 7 FIGURES AND HAVE TIME FOR MYSELF! "I worked with all the top business coaches (you know who I mean) and I learned how to build my business. They were great teachers. Annette, she's in a class by herself. She was able to see inside my head and blow out limitations I didn't even know I was putting on myself and she helped me create the business model of my dreams! With Annette I was able to make multiple 7 figures and make time for myself. I'm still amazed!"